Innovative solutions focused on energy efficiency are driven by computer simulation software. This is evident in connected device designs like the Internet of Things (IoT) - in smartphones, wearable technologies, automobiles, appliances, industrial equipment, drones. The complexity of these systems means that there is a greater need for energy efficiency growth. This current complexity renders the applicability of old project development methods insufficient and requires the use of simulation software in order to develop more sustainable and energy-efficient projects. In this regard, computer simulation tools help users to design even more efficient and sustainable systems. Simulation even allows you to overcome project challenges, whether they involve a single physics or more. ANSYS tools provide the necessary resources to perform thermal, electrical, structural, fluid analysis, engineering systems and embedded software to develop components and systems for all energy applications. Regardless of the technology developed, the ANSYS simulation tools can significantly reduce project development time and help launch products in less time in the market. The use of new design methods and the use of computer simulation tools are essential to deliver efficient electrification systems and to optimize existing projects, thus meeting the growing demand for energy efficiency and renewable energies. Even small improvements in product efficiency - such as engines, actuators, and solenoids - make it possible to achieve significant savings and to reduce the impact on the environment. To achieve these improvements it is necessary to solve the challenges in the development of complex products that tend to combine analog, digital and mixed electrical signals with mechanical, electromechanical, hydraulic and other physical devices. Embedded software is also required to control the entire system. 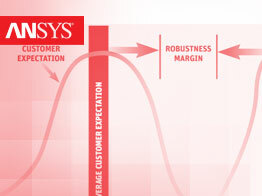 To overcome these challenges, computer simulation tools provide significant competitive advantage. 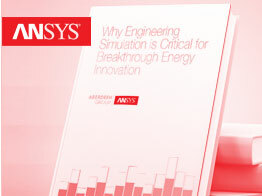 ANSYS engineering simulation solutions enable you to develop products and systems with great precision. These tools are used, for example, in the multiphysics simulation of electromechanical components involving electromagnetism, thermal and mechanical coupling; high performance computing (HPC) systems that accelerate simulations up to 50x (feature patent pending); power electronics simulation and embedded control software with detailed finite element component models; and in the development of embedded software that controls all devices. One of the industry's major challenges is to improve the efficiency of operation and energy consumption of equipment by optimizing the performance of all components of a system. However, as the complex product development challenges increase, so does the need for professionals trained in the design process, physical testing for the validation and use of engineering simulation solutions in order to meet the challenges. Simulation tools are widely used in product development and help to improve energy efficiency, which makes the development process even faster, easier and more reliable; as well as to accelerate the development of new products and to ensure the proper functioning of equipment. ANSYS solutions are great allies in improving energy efficiency and operation because they help to promote innovation in all stages of the simulation process, from geometry design to post-processing, and extends the limits possible to maximize product yield and equipment. ANSYS offers the most complete tools on the market for precision and speed combustion simulation, high precision multiphysics simulation and reliability, system simulation to identify all interactions between components. One of the factors that have a significant impact on the energy efficiency of a product or equipment is aerodynamics, which, by reducing drag, can significantly impact fuel and other energy resources. Many professionals use wind tunnels to analyze and optimize the aerodynamics of a product, which greatly raises development costs. Computational simulation tools offer a more accessible and efficient alternative as it allows complete and accurate aerodynamic drag evaluations in virtual wind tunnels. Another asset of this feature is that it offers a more detailed view of physics, allowing you to evaluate and analyze any part of the product or equipment - the windshield of a car or wingtip of an airplane, for example - that are extremely difficult and expensive to physical tests in wind tunnels. ANSYS aerodynamic modeling solutions have more turbulence models than any Computational Fluid Dynamics (CFD) solver. These models provide for aerodynamic forces and the presence of detachment points accurately. ANSYS tools allow the coupling with structural, thermal, electromagnetic solvers, as well as co-simulation with systems analysis software, such as ANSYS Simplorer. This potentiality of multiphysical analysis accelerates the technological advance, which requires the coupling of physics to obtain more and more accurate results. 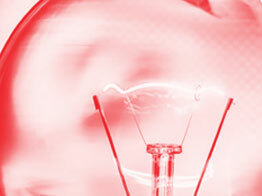 The choice of material density has a significant impact on the energy efficiency of equipment and products. Over the years, engineers have been using composite materials and modified traditional materials in order to reduce the weight of the parts, so we have reached a stage where thinking about new areas of improvement is increasingly difficult. Computer simulation and multidisciplinary optimization tools are emerging as a driving force for innovation in this area, helping practitioners to identify potential new targets for weight reduction effectively. At the same time, the emergence of industrial 3-D printing or rapid prototyping is eliminating traditional design constraints and introducing new possibilities that can be boosted through the use of simulation. ANSYS engineering simulation solutions help reduce the weight of products, accurately predict stress levels and deformations of parts over real work conditions, and to evaluate multiple design criteria. This ability to improve forms and to understand the impact of materials and manufacturing processes on lightweight projects is essential in product development and continues to push the boundaries of engineering. Enhancing energy efficiency through optimization is a goal for consumer product designers, industrial equipment manufacturers, and construction project managers. Building certifications, energy ratings, and other programs encourage energy efficiency in buildings and appliances, over which small improvements in the efficiency of thermal and cooling systems can have a significant impact on cost savings. Physically testing new construction options, appliances, industrial equipment and manufacturing plant configurations creates a significant cost, since building a test plant requires high investment, and shutting down an operational plant is unfeasible in terms of production losses. Computer simulation allows the analysis of the thermal management of equipment or a production plant through virtual prototyping, making it possible for the engineering professional to predict failures and to identify improvements in equipment and operation plants without additional costs with physical tests. The ANSYS simulation solutions help to perform the thermal optimization by allowing to capture all the phenomena involved in the heat transfer - convection, conduction, radiation, combustion, electric induction, electrical resistance, heating - in advanced simulations. It also allows integrating multiphysical interactions that impact thermal performance, achieve thermal optimization with integrated tools, and to improve the geometry of thermal simulations quickly.